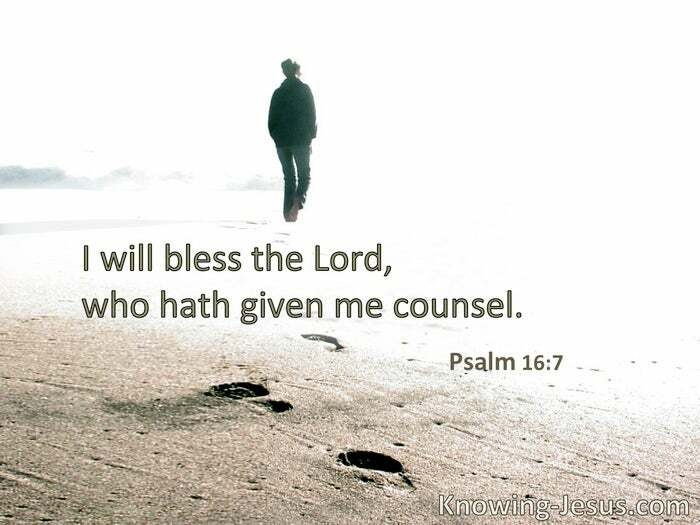 I will bless the Lord who has given me counsel. His name will be called Wonderful, Counselor. § Counsel is mine, and sound wisdom; I am understanding. § Your word is a lamp to my feet and a light to my path. § Trust in the Lord with all your heart, and lean not on your own understanding; in all your ways acknowledge Him, and He shall direct your paths. O Lord, I know the way of man is not in himself; it is not in man who walks to direct his own steps. § Your ears shall hear a word behind you, saying, “This is the way, walk in it,” whenever you turn to the right hand or whenever you turn to the left. § Commit your works to the Lord, and your thoughts will be established. § He knows the way that I take. 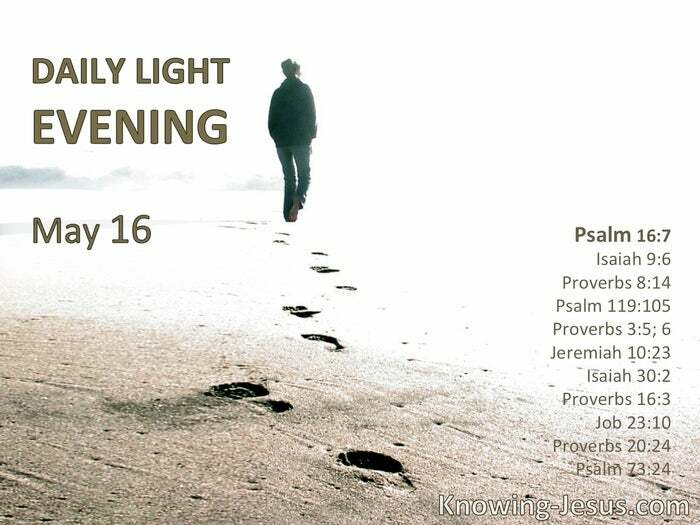 § A man’s steps are of the Lord; how then can a man understand his own way? You will guide me with Your counsel, and afterward receive me to glory. § This is God, our God forever and ever; He will be our guide even to death.